Frédéric Beraha is the founder and director of GTE China, Accuracy’s learning and development platform. From 1989 to 2002, Frédéric worked at the Aerospatiale Group (now Airbus) as Director for Greater China based in Hong Kong and from 1995 as Chief Strategy Officer (member of the Board) for the Eurocopter Group (EADS) in France. 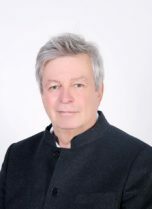 In 2002, he was appointed for 5 years as Cultural and Scientific Councilor at the French Embassy in China in charge of culture, education, technical cooperation and sciences, managing almost 200 officers with an annual budget of €20m. Frédéric is a member of CCE and has been the independent Director of SUPOR (group SEB) since 2014. In 2007, Frédéric created GTE, a consultancy and training firm in Beijing, and he continues to lead this firm today. Frédéric is fluent in French (mother tongue), Chinese and English.